Apollo 16. Flagship Apollo Conversion for Professional Studios. The new Apollo 16 is an elegant update to UA’s premium audio interface — delivering enhanced sound with the tone, feel, and flow of analog recording. 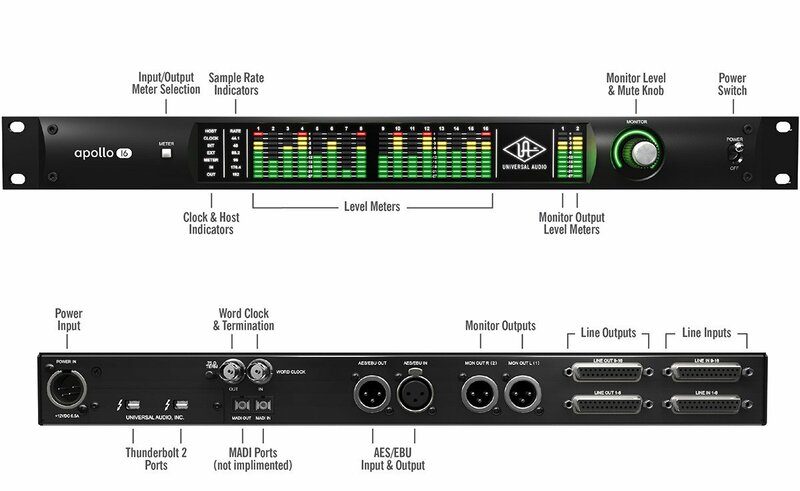 Perfect for professional studios, this 18 x 20 Thunderbolt 2 interface offers twice the analog connectivity of the Apollo 8/8p — making it ideal for pairing with mixing consoles and outboard processors. Built on genuine UA analog design and next-generation A/D and D/A conversion, Apollo 16 also features powerful UAD-2 QUAD Core processing, letting you run the full library of UAD Powered Plug-Ins in real time. With sonic performance that surpasses anything in its class, Apollo 16 rivals modular converters costing twice the price, in a sleek, powerful new package. 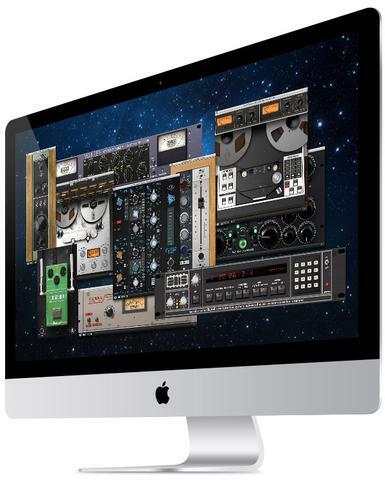 The original Apollo, introduced in 2012, quickly became a gold standard among modern music producers and engineers — it now counts many of the world’s top artists as users. Apollo 16 improves upon the original Apollo’s sound quality with completely redesigned, class-leading A/D and D/A conversion — giving you increased dynamic range and even lower THD. Building upon a 50-year legacy of circuit design, UA engineers started with obsessive auditioning of the latest converters, pairing them with completely redesigned analog circuitry. Confirmed by extensive double-blind listening tests, the result is 2 dB better A/D and 8 dB better D/A dynamic range versus the original Apollo — making Apollo 16 the measurable class leader.